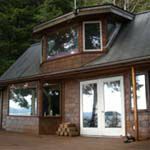 Our Fishing Lodges in Ketchikan, Alaska offer excellent fishing packages. Enjoy our combination freshwater/saltwater guided fishing trips. Now is the perfect time to schedule your fishing trip! Toll Free: (800) 410-2234. Aurora Sportfishing accommodates all of your charter fishing needs! 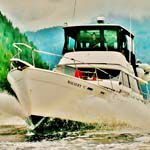 If you're a visitor or a local resident of Ketchikan Alaska and you are interested in fishing in one of our Charter Fishing boats, please contact us. Fantastic fully guided saltwater sport fishing . Salmon, hailbut, lingcod and more. Toll Free: (800) 813-4363. 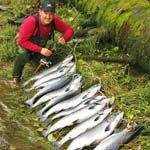 Halibut and Salmon fishing trip vacation packages. 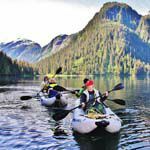 Ketchikan sport fishing lodge, just a 90 minute flight from Seattle. Toll Free: (800) 410-2234. 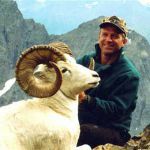 Dalin Charters & Guiding INC.